In the run up to the peak travel season during the winter holidays, Abu Dhabi Duty Free has introduced a wide range of enticing retail offers and tantalising dining experiences that promise to put visitors throughout Abu Dhabi International Airport (AUH) in a celebratory mood. Abu Dhabi Duty Free, in collaboration with DFS, will be launching the 2018 seasonal gifting campaign, “Give Joy”, to celebrate the spirit of the festive season and the gift of giving. Travellers will be able to personalise their purchased gifts at the Abu Dhabi Duty Free’s “Personalisation Gift Shop” and branded personalisation gift carts. The Personalisation Gift carts will be bringing an exclusive and enticing experience to travellers. Select gifts and products purchased across the airport can be embossed, printed, stitched, or gift wrapped. Travellers can add initials or messages on their selected gifts, whether it is leather goods, ribbons or tote bags. In addition, from December onwards, travellers spending Dh100 ($27.2) or more at Abu Dhabi International Airport’s numerous retail and food and beverage outlets will be guided to the ‘Tree of Wishes’, located at Terminals 1 and 3, to choose a bauble ornament with the opportunity to win thousands of prizes including cash vouchers and diamond jewelry. 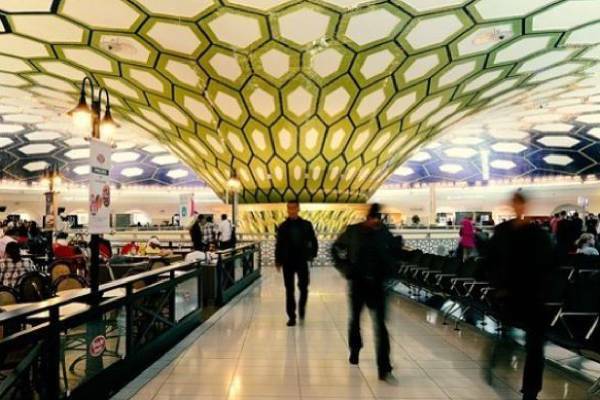 “This year we have a fantastic line up of offers and entertainment across Abu Dhabi International Airport, from our festive market at the bus gate tunnel to some engaging performances. We look forward to welcoming travellers from around the world to Abu Dhabi whilst showcasing our unique and exclusive services at the Capital’s airport,” added De Groof.